HauteLiving.com is home to the world famous Haute Living magazines, a set of regional magazines that cater to affluent individuals from San Francisco, Los Angeles, New York and Miami. Each magazine helps readers lead that perfect luxury lifestyle and offers unparalleled insights into the latest and hottest news from the world of luxury. 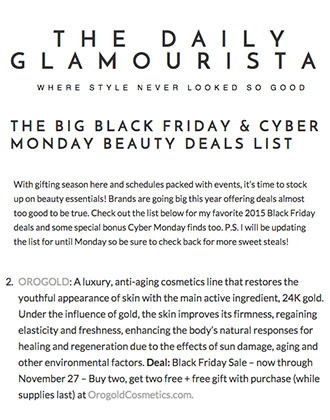 The website itself offers in-depth articles on fashion, beauty, skin care, personal style, people, jewelry, real estate and automobiles and boasts of attracting more than 800,000 unique visitors per month. In an article titled “Father’s Day Gifts for Every Kind of Dad”, author Kelly Barbieri presents a fascinating gift guide on what to buy for your dad this Father’s Day. One can always pick up yet another tie, but how about picking up something unique for a change? This is where Kelly’s guide comes in. She breaks down her gift ideas according to different personalities to help you choose the perfect gift for your dad this Father’s Day. 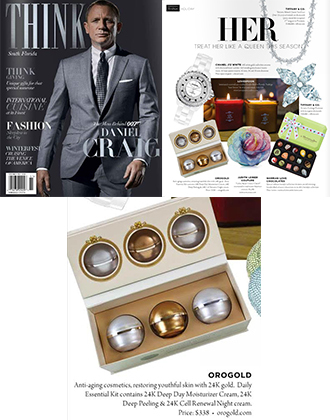 One of Kelly’s recommendations is the ORO GOLD 24K Men’s Collection. 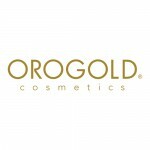 Kelly mentions that this unique collection contains key ingredients such as vitamins A, C and E and gold to diminish the look of wrinkles and lines and lists the 24K Pre-Shave Facial Serum as her favorite product from the collection. She describes the serum as a lightweight elixir that offers a glorious satin texture and provides perfect cushioning for the most accurate and closest shave. 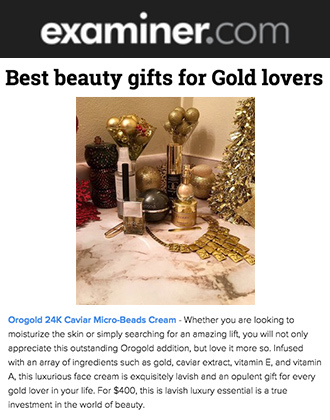 OROGOLD Cosmetics would like to thank Kelly for including the 24K Men’s Collection in her exciting Father’s Day Gift Guide and would also like to invite you to the nearest OROGOLD store for special Father’s Day offers on products from the 24K Men’s Collection.